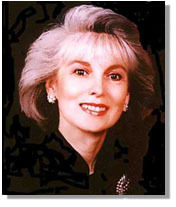 Judy Buch is a past President of the New England Speakers Association, an award winning chapter of the National Speakers Association. She speaks on the dynamics of business relations with coworkers and customers. She uses ventriloquism in each presentation to demonstrate the roles we play in business and how our identity is shaped through association with others. She creates a compelling format to connect with the audience members and conveys a message that really hits home. She was voted "Ventriloquist of the Year" for 1996, by her peers at the 22nd Annual International Ventriloquist's Convention. Judy has been seen on Good Morning America, pictured in Smithsonian Magazine, and featured in the New York Times. Her corporate client list includes: Raytheon Systems Inc, Travelers Property Casual, ABB Combustion Engineering, Texas Instruments and Corning, Inc.